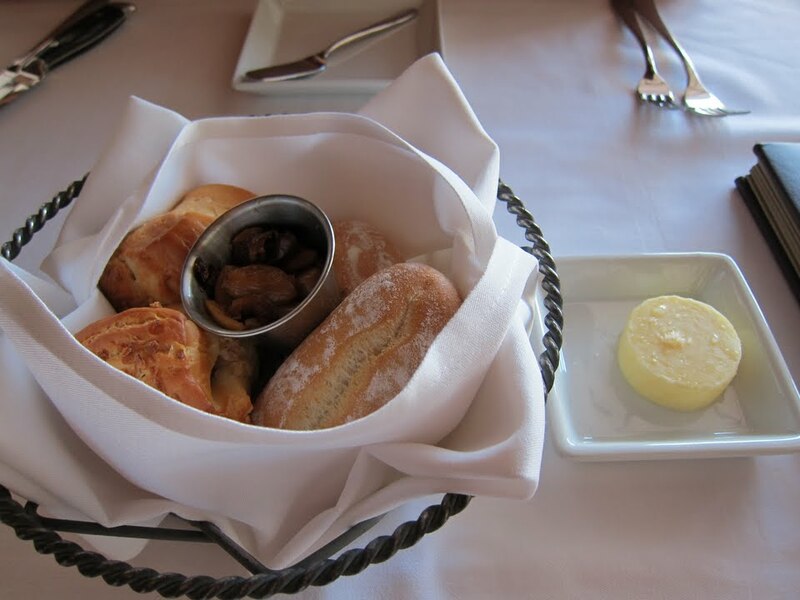 I have been to the Yachtsman Steakhouse once a year since 2007, and this was the first time I was disappointed in the meal. My salad choice (see above)lacked a lot of the flavors I would have expected, just underwhelmed. The steak was OK, but not nearly as "melt in your mouth" as I remember. 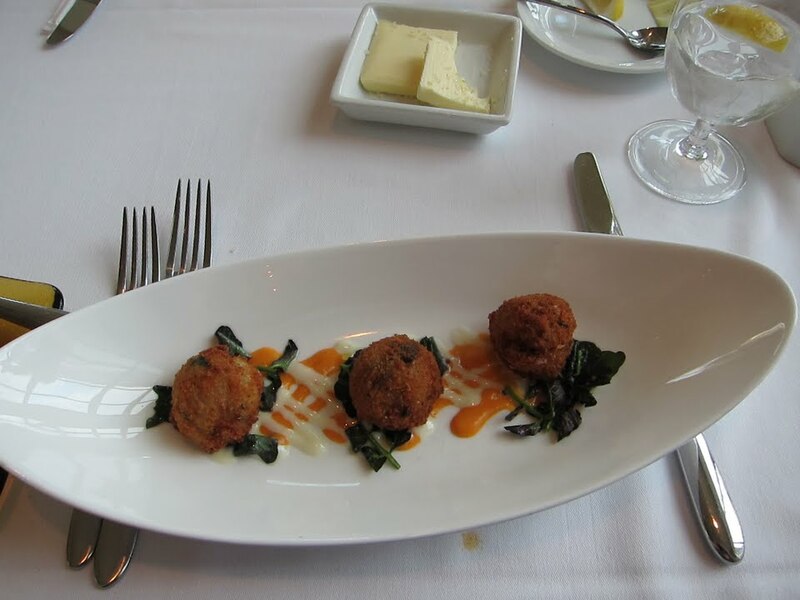 Still, the service was good and the atmosphere was fine and the "au gratin" potato and creamed spinach side dishes were excellent. I should note that Mrs. Shuttlesworth disagrees with me, and believes that her meal was one of the best all week, and I will admit the ravioli were amazing. 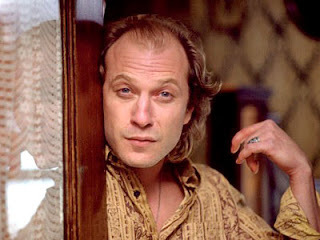 I am willing to chalk it up to an off night. 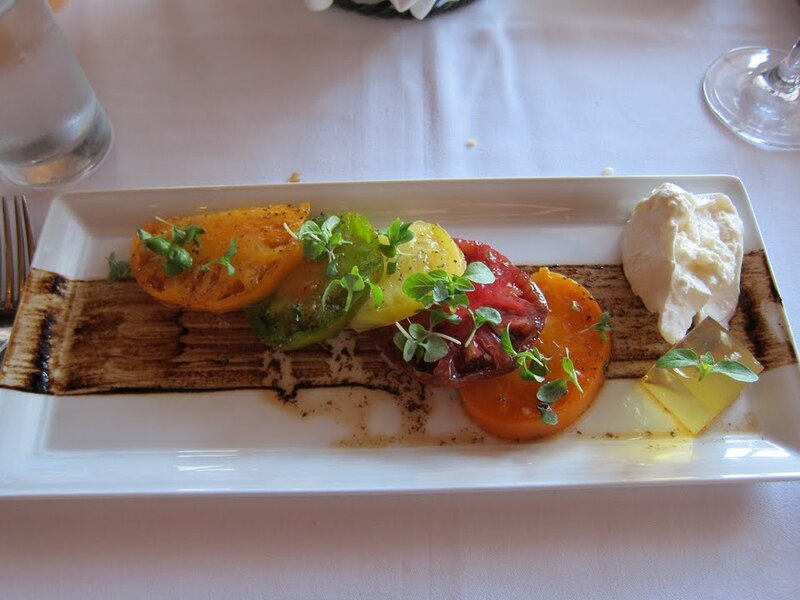 To that point, I can not remember a time where fellow diners sent back their steak at Yachtsman. However, in my 90 minutes there no less than half a dozen steaks were sent back and that was just in the handful of tables around me. * The master bedroom and living area look huge. * I like the bed in the master bedroom and enjoy the decently sized bedside tables. * The master bath is a good size and has a nice, modern clean look. * The chair in the master bedroom also looks pretty comfortable and I'm glad they offer one. * They went all in on the theme. Kids will love it. * They went all in on the theme. As an adult, I hate it. I think the colors are awful and look like an acid trip. Some of the artwork works, like the sleeping Nemo over the Murphy bed, but the rest doesn't. * The pull out sofa looks very uncomfortable in sofa mode. * The mini coffee tables look like something out of Ikea. Ditto for the table and chairs. * The kitchenette looks out of place and could have been integrated much better into the space. Overall, these look pretty good. With rack rates anywhere from $248 to $425, these look like a pretty good option for a family with needs for a larger space. I think the biggest drawback is the color scheme and theming. If that's a dealbreaker, it's probably best to look off-site or even at the Swan and Dolphin suites. The Good: Citricos is one of the best pure dining experiences in WDW. 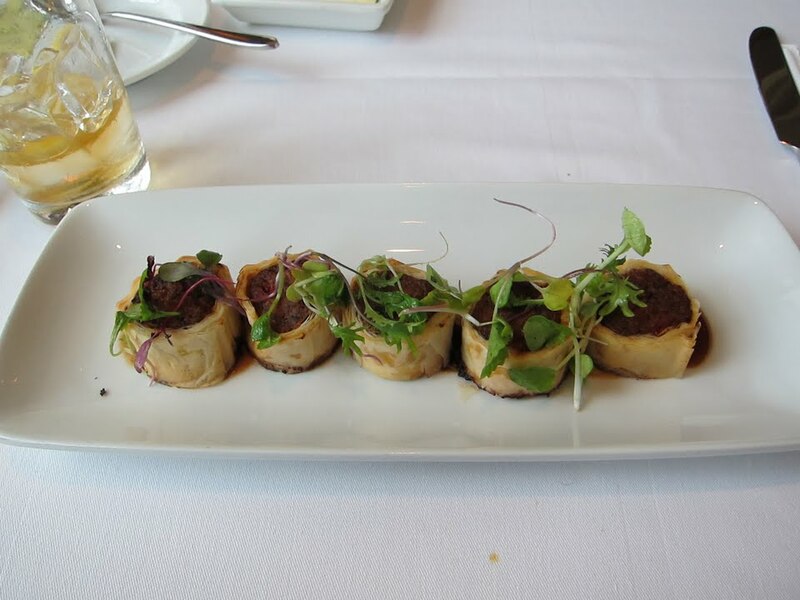 each one of the dishes shown was either very good or outstanding. The Bad: Very expensive. 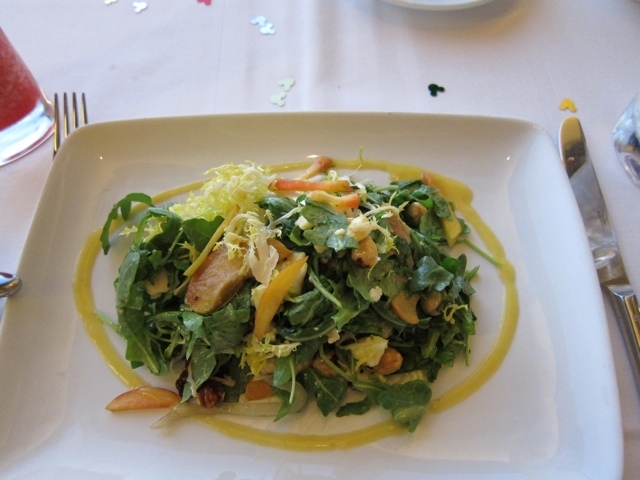 On par cost-wise with California Grill, without the atmosphere of Wishes. Episode 48 -- See you next Tuesday! Exciting news about when we post new podcast episodes. Yak and Yeti battles Chick-fil-A. Russ shares his sad news about his Yacht Club Conundrum. The boys tackle a lengthy listener e-mail about visiting during Christmas. The episode closes with Mama Melrose taking on Tusker House. The refurbishment of Test Track had significant impact on crowd movement and attraction wait times at Epcot during my trip last week. After closing on April 16th, Epcot was left, in essence, with one headliner attraction in Soarin'. I personally don't consider Mission Space or Spaceship Earth headliners because they do not warrant a rope drop arrival to get a minimum wait. First, a smaller scale effect: The waits at Living with the Land jumped to 20 minutes by mid-morning. Not forced with the prospect of having to cut across the park to get on Test Track, people were far more inclined to stay in the Land Pavilion and experience to take in Living w/ the Land. I have not seen waits of twenty minutes in some time, certainly never on my trips. Second, and more importantly to Epcot touring, is the impact of crowds at Soarin'. Although crowds were predicted to be very light at Epcot overall, the folks at TouringPlans were estimating 100+ minute waits at Soarin'. This far exceeds what you would expect on a similar day in which Test Track were open. This certainly made sense to me. By reducing the number of headliners, crowds throughout the day would be pulled in one direction and waits would build to almost unbearable levels. For the record, almost every TouringPlans wait times were right on for the entire week. 1. Less people will go to Epcot if there is only one great attraction. 2. Soarin' has been around long enough that people will balk at the idea of spending much more than an hour in line for the attraction. Either way, it is an interesting development for anyone touring Epcot over the next several months. Success. We can get our cake pop and a blond roast! Some higher-up’s in Disney must listen to our show. A few months ago (maybe Dutch remembers the episode number), we discussed just how awful the coffee is in WDW parks, and that the only place to get a decent cup of coffee in the entire World (Disney, not Earth) is Kona Cafe. We suggested that Disney should consider a corporate partnership with a national coffee shop brand (we suggested Dunkin' Donuts, given our New English pedigree), which would inevitably result in a killing for both companies. Well someone took our advice. Starbucks and Disney have announced a new deal to open a Starbucks inside of each of the six theme parks Disney operates in the U.S. That includes the four in Florida and the two in California, the first is scheduled to be open "this summer" at Disney California Adventures. The other five are to follow. According to the announcement, the cafes will all be themed and even named to match their park. References to Starbucks will be subtle--there will be no Starbucks logo outside of the shops, for example. Each café will sell a combination of classic Starbucks and Disney foodstuffs. Anyone committed to getting up early to get to a park for rope drop appreciates the importance of a good cup of coffee, and the value of not having to drive off property to get it. Since each of the cafes will be named and themed to fit into its respective park, my questions for you is where will they be placed, and what should they be called? Here is the setup. On our last full day at WDW, Mrs. Shuttlesworth and I (on some rides just me) will attempt to ride one headliner attraction in each park and finish as early in the day as possible. All parks open at 9 AM, except DHS which has early extra magic hours starting at 8 AM. As for rules, not much. FastPass use is OK, and we can park at our resort (The Polynesian) if needed. Other than that no special accommodations. We may replace Splash Mountain with Space Mountain if the weather does not hold up. Arrived at DHS front gate. Look at all those buses and the crowd at the front gate. I am floored right now. 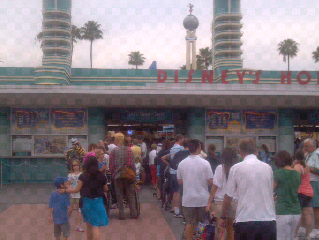 Now I know why to avoid EMH morning parks. May need to rethink strategy a bit. 8:45AM:One down. On our way to Epcot. 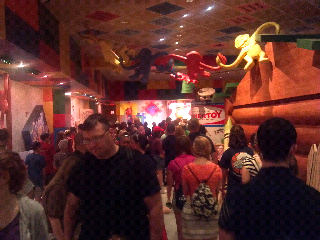 Wait at Toy Story when exiting was already 40 minutes. Ridiculous. 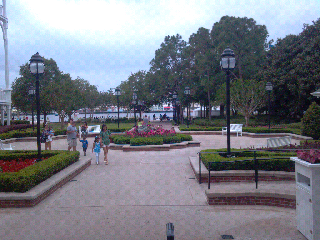 8:55 AM: Arrived at Epcot should be at the gate for opening. 9:20 AM: Back to the car. 30 minute wait at Soarin' so we nabbed fastpasses with a 10:10-11:10 AM return window. Think Test Track being down played a role in the long wait at Soarin'. On our way to Animal Kingdom for Everest. 9:36 AM: Arrived at the Animal Kingdom. Lots are beginning to fill up. 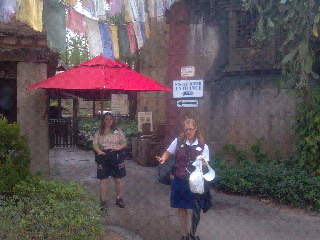 9:55 AM: Wait at Everest was 25 minutes. 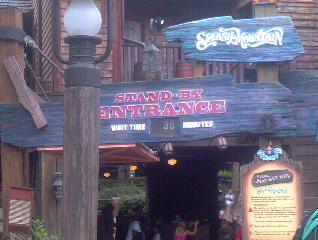 But there were only three people in the single rider line. 10:01 AM: Off Everest. Single rider to the rescue!! 10:15 AM: Two down. Headed back to Epcot. We debated using the monorail from the TTC but decided there were to many variables.Legs are getting a bit tired. Walks from the lots are taking their toll. 10:20 AM: Back at Epcot lot. We are going to be parking in the Discover. One piece of advice so far: avoid bag check. We have likely saved twenty or more minutes by traveling light to the parks. 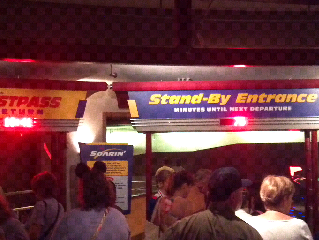 10:42 AM: Wait at Soarin' is 75 minutes. Got in the fastpass line and it was bad too, longer than I have seen at any point. Soarin' loads far too slowly given its popularity. Might be time for another "concourse." 11:22 AM: Three down. Back in the car heading to the Poly and then to the Magic Kingdom to complete the challenge. My only regret so far was not just waiting for Soarin' instead of getting a FastPass. 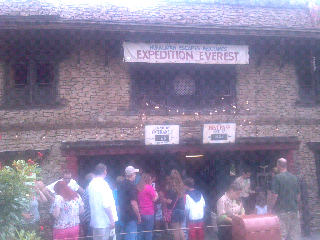 The single rider line at Everest has been down the past few days, so I overestimated how long a wait I was in for. That said, the posted wait times at Soarin tend to swing widely and be inaccurate. The twenty minutes could have been forty or more. 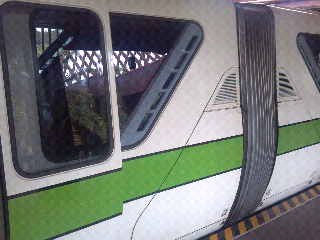 11:41AM: Just boarded monorail green and we are on the way to the Magic Kingdom. Just two stops away. Pic of our ride is below. 12:01 PM: Frontierland without incident. 35 minute wait. Need a break at some point on this wait. 12:08 PM: Wait very much overstated, should get there soon. 12:31 PM: Success! Cut a few minutes out of the wait being a single rider and enjoyed my fourth major attraction in four different parks. 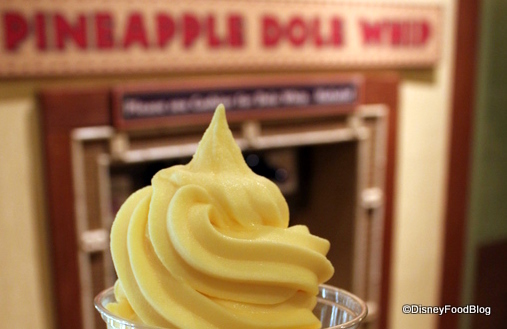 It feels like I have spent all day touring, but now time to celebrate with a Dole Whip. On Tuesday I promised to write more about tradition in WDW. So I was reading this month’s MouseSavers Newsletter (which I highly recommend you subscribe to by clicking here). Each month, MouseSavers lists the dates that attractions will be closed in the near future. Since I’ll be there in just a few weeks, I am particularly interested in this information. That’s when I saw that the last ride for Snow White’s Scary Adventures will be May 31. On some level, it’s kinda neat to know that I will be among the last to ride their venerable attraction. However, my initial reaction was disappointment. First, they are replacing it “Princess Fairytale Hall”, which will be a princess meet-and-greet location. I don’t know exactly why, but this princess fixation just rubs me the wrong way (if something can articulate why it should bother me, I’d love to hear it). More generally, though, I always lament the loss of an old attraction. It is a narrow path to walk. On one hand, you have adults who have fond memories of their childhood trips to the World, and perhaps want to share those memories with their childhood. On the hand, there are at least as many people who want to see something new, or least not pay good money for something dated. 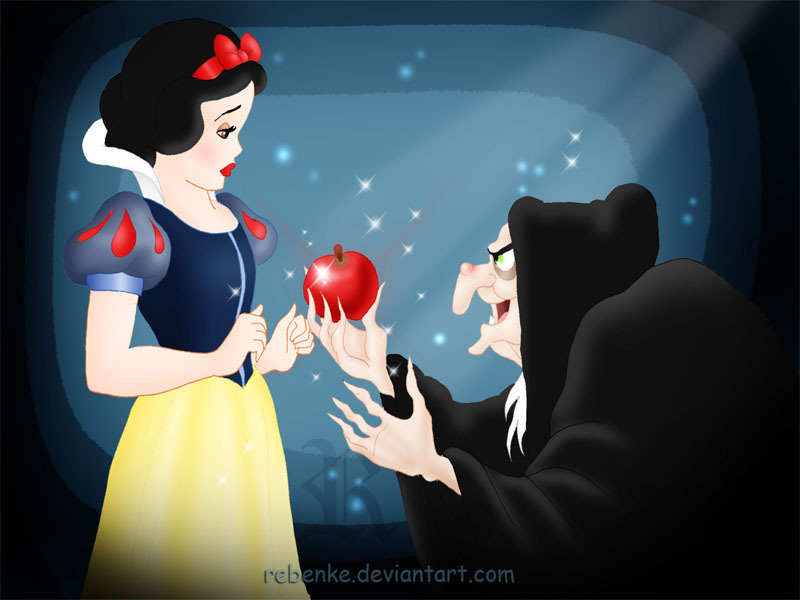 And in fairness to Disney, they actually do a pretty good job of preserving traditions. A look at this Wikipedia entry (not necessarily authoritative, I know, but useful) shows just how few attractions have bit the bullet in these 40-plus years. Then there’s been this recent push to revive old classics. So I guess I’ve made my peace with the loss of another classic ride. Dutch shares some information on Walt Disney World Premium VIP tours. The Boys discuss whether or not they think it's worth it. Also, Russ unveils our offering for the e-mail of the week. Finally, Kip brings the team all the haps about Cars Land in Anaheim. 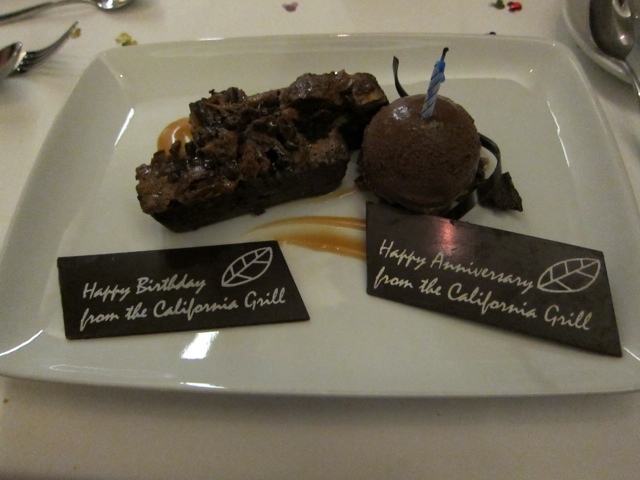 Another great meal at the California Grill on April15th. Everything was excellent, as was the service. When WDW opened in 1971, Orange Bird was a sort of Florida-themed mascot that populated the pavilion that eventually grew up to be the Enchanted Tiki Room. But, as things tend to do, the park and its attractions evolved, and Orange Bird went the way of the dodo. Starting earlier this year, however, Orange Bird has been making a reappearance on signage and merchandise. Perhaps it won't be long be we get to see the character again. It's nice that see that, despite the ever-continued changing and expansion of WDW, that renewed efforts have been made to preserve some nostalgia. Though the one main constant in Disney may be change, it is refreshing that at least some of the experiences we enjoyed as youths can still be shared with our children. More on tradition in the World later this week! This can go in the frustration pile. I'm planning a big family trip for the beginning of January 2013. As our little family has grown, we're looking for something with a bit more space than a standard bedroom. Towards that end, I'm considering a suite of some sort. The problem is knowing what I'm paying for. Since each of these would cost me several thousand dollars, I'd like to get an idea of space to see if they would fit my family needs. Here's what I've found. Bay Lake Tower: I've looked at the 1 and 2 bedroom suites here. No frustration with this option as there are literally hundreds of pictures of these rooms. This is probably because of how new the facility is and the amount of buzz they created when they opened. As an aside, this is the only DVC I would consider. 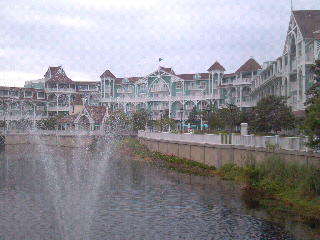 They all look to be in similar shape to the Beach Club Villas, which is not a good thing. Dolphin Executive Suite: There are only a couple of pictures available here. Everyone seems to use the same ones, which is very frustrating. I actually booked this one, but I'm not happy that I don't have a crystal clear idea of what I'm buying ahead of time. There is also a paucity of information RE: views. It would be very tough to spend $500/night and have a view of a dumpster. Yacht Club Junior Suite: There are literally zero pictures of these rooms. Apparently, there are two of them and they've changed the layout relatively recently. Other than that, I know nothing other than the cost. On the bright side, when we go I will take pictures of wherever we stay and they will be the only ones on the interweb. At the Beach Club for Breakfast. 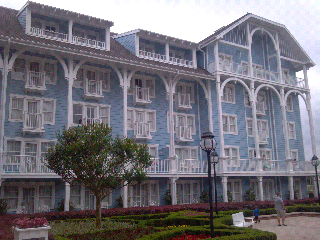 Here are Some photos of the hotel exterior. 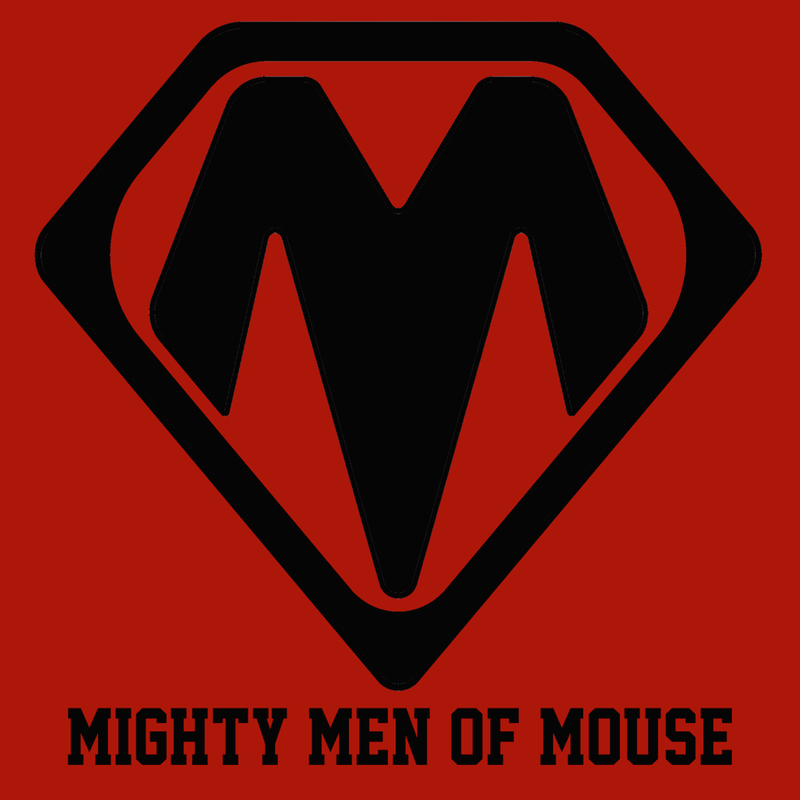 In this week's episode of Mighty Men of Mouse, I let the boys know about my experience flying with fat guy seating on Southwest. Although I didn't need the extra seat, I thought it was a great way to upgrade without going first class out of Boston. I mentioned the Fat Guy FAQ on Southwest's website and thought I would share some of my favorite morsels. How do I qualify for and request a refund of the additional seat purchase? As long as the flight does not oversell (have more confirmed Customers waiting to board than seats on the aircraft), we will refund the cost of the additional seat after travel. A Refund Advice Slip, a guide for conveniently requesting refunds (via telephone or letter), is provided to the Customer of size at checkin. If it appears a flight will oversell, the option to purchase an extra seat and travel on a less full flight is available. This is extremely important. There is no where else from Southwest that you would find this information. None of the agents, counter or gate, mentioned this at all. I love this policy because it makes getting an extra seat a pretty good hedge against a less-than-full flight. Can a large Customer sit with a family member or a small person who doesn't take a full seat? No. Open seating cannot guarantee that two people will be able to sit together. In addition, we must treat the smaller person (despite willingness or personal relationship) as a valued Customer who deserves the use of a full seat. Most importantly, we have to consider the safety aspect of the family member whose movement (especially in the event of an emergency) could be compromised if encroached on by a large seatmate. What is the definitive gauge for a Customer of size? The armrest is the definitive gauge for a Customer of size. It serves as the boundary between seats, which measure 17 inches wide. Customers who are unable to lower both armrests and/or who encroach upon any portion of the adjacent seat should proactively book the number of seats needed prior to travel. Overall, the experience was great and made the air bus feel much more comfortable. If you have a little extra scratch in your budget and a longer flight, this is a great way to splurge even if you aren't a great, big fat person. 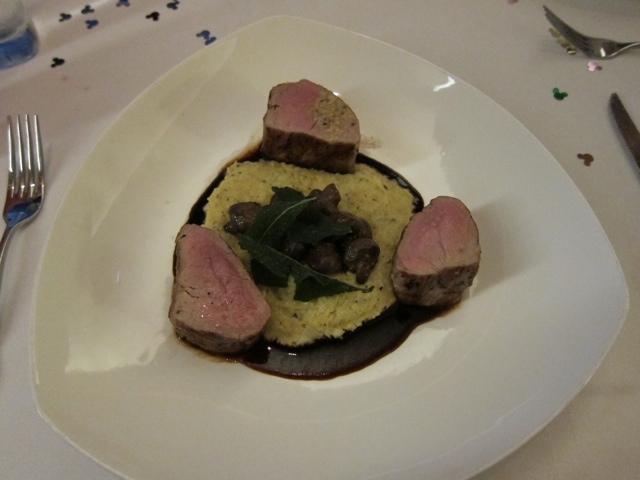 This week feature Blue Zoo taking on Le Cellier in the Restaurant Challenge Series. 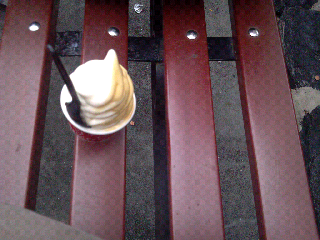 Yachtsman also does battle with Beaches and Cream. We also learn how Russ and Mrs. Russ pick their restaurants. 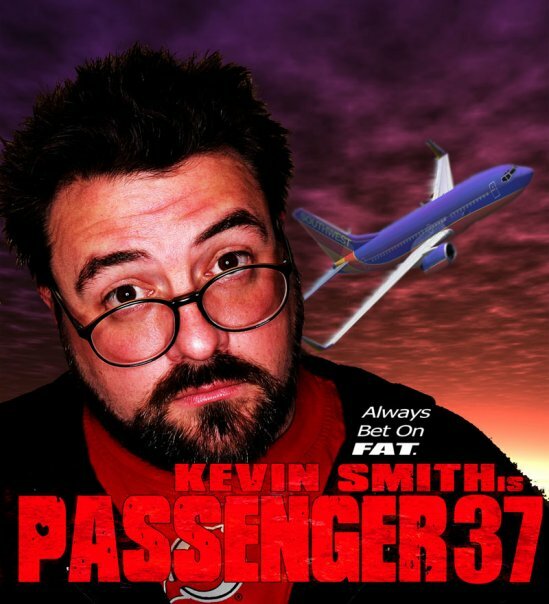 We close out with a lesson in fat guy seats on Southwest. "This new version of the attraction will transform the current testing workshop into the sleek “Chevrolet Design Center at Epcot,” where guests can become immersed in the fun – and fast – world of automotive design. 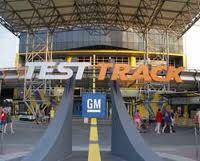 Here, guests will become automotive designers and create their own custom vehicles"
MMOM Take: Test Track is in desperate need of a rethemed queue. With standby waits almost always exceeding 30 minutes, guests should have something to entertain them besides a mock-durability test on a passenger seat, or a video of how a steering wheel works. Following the theme of queues like The Adventures of Winnie the Pooh and Haunted Mansion, it looks like this will Test Track will have an interactive component. My best guess is computer screens set up at various point in the queue where you can design the car in pieces as you wait (think of the queue in Space Mountain only with each interactive screen having a different purpose). If it winds up being a free for all queue like Winnie the Pooh...utter disaster. "Next, they’ll buckle into a six-person SimCar ride vehicle and test out their design on the challenging track of the Test Track course." MMOM Take: Finally, some news about the ride itself, but I am sadly left wondering what it all means. This reads like Test Track has the potential to be a completely redesigned attraction with different components to the obstacle course based on your car design (not likely), or adding an interactive video component on how your designed car would have fared in the tests, or to be absolutely the same with no changes whatsoever and just the added setup that "Hey, you are in that car you designed." A six month refurbishment probably means that not much will change , but at least one new or added element to the attraction itself wouldbe welcome and should be expected. "Afterward, guests can take a fascinating look into the future of transportation by viewing a collection of the latest Chevrolet vehicles in an all-new showroom." MMOM Take: What time is my FastPass for Soarin'? Can we still trust hotel ratings? It's no secret that one of the most (if not the most) factors in selecting a hotel is customer reviews. Whenever Dr. Springfield and I book a hotel, our last task before booking is a thorough read-through of reviews on Tripadvisor, Expedia, and maybe even a few local or specialty websites Bedandbreakfast.com. Last week there was a great article in the Wall Street Journal about the importance of honesty in hotel ratings. They point out just how important good ratings are for the successful operation of hotels--and the subsequent desperation proprietors display in maintaining them. Of course, that means that some hotels will post fake reviews to boost their ratings (or hurt their competitors). A travel research, PhoCusWright, is quoted in the article as removing the reviews of a "small national brand of hotels" (without saying which brand), because their data were so suspicious. Also talked about is fiverr.com, a website where a less reputable establish can find someone to post favorable hotel reviews for as little as 5 dollars. So what to do in a time where reviews (or even overall ranking) could be tainted by false reviews or overly baised reviewers? Personally, I tend to look at the bad reviews first. Good reviews tend to all look same, but unsatisfied customers are often unsatisfied for different reasons. Next I try to distill the negative comments down to a list of drawbacks to the particular hotel. Then I can evaluate whether those drawbacks are relevant for me (e.g., an outdated gym), or whether they are understable given the nature of the hotel or the price point I'm looking in (e.g., complaints about the size of a room if I'm looking in midtown Manhattan, or the lack of a turndown service when the hotel is less than $100 per night). The bottom line is, buyer beware. Know that any review, even if it's not fraudulent, is going to be biased by the review's writer. As Tutto Italia, located in Epcot's Italy pavilion, undergoes a significant refurbishment, some details have been released about the new wine bar/tapas addition, Tutto Gusto. 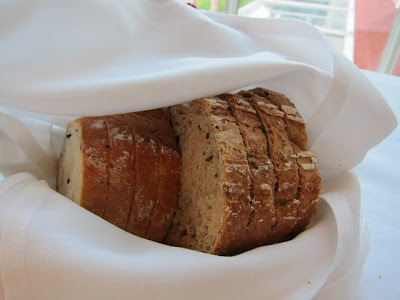 Tutto Gusto will be located in what was previously the lobby of Tutto Italia. 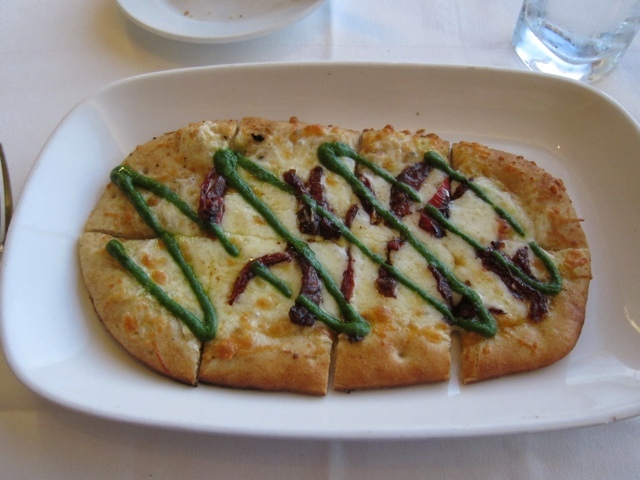 With over 200 wine selections, several Italian beers and a robust small plate selection, Tutto Gusto appears to shy away from the Italian American classics and instead focus on more traditional menu items and wine. Any time a restaurant with several unique food/drink items opens (particularly in World Showcase), I get excited. One of the biggest complaints about Disney food over the past ten-fifteen years is how homogenized it has become. Unique or ethnic dishes are few and far between, but Tutto Gusto, at least in the early going, seems to reverse the trend. While it will place more of an emphasize on food than drinks (and will accept the Disney dining plan), I hope Tutto Gusto will be a lot like the hidden gem La Cava del Tequila in the Mexico pavilion. 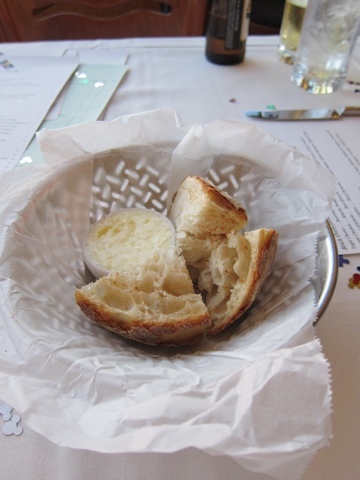 Check out more detailed information on Tutto Gusto at the DisneyParks blog. 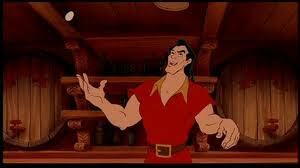 Kip had really fun post about possible offerings at Gaston's when it opens. I was drawn in by the prospect of booze in the Magic Kingdom. Regardless of the pros and cons, we know Disney knows how to vend. This begs the question: what would they vend and where? Here are a few of my humble suggestions. What about a Doc Holliday themed plush? Frontierland: Old Overholt Rye Whiskey (Doc Holliday's fave) available at the Frontierland Shootin Arcade. 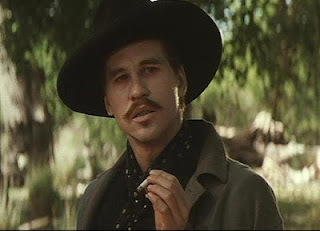 They could also work in a photo of you drinkin and shooting while dressed up as Doc Holliday. Maybe even retheme it to the OK Corral. Liberty Square: No idea. Maybe a zombie at Haunted Mansion. Fantasyland: Annex Columbia Harbour House and retheme it to a British pub. Get bombed and fly over London in Peter Pan. There's already a British pub in the World, so that may not work. Maybe they could sell Pooh themed mead (honey based) at Winnie the Pooh? 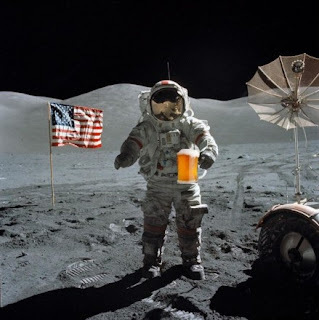 Tomorrowland: Astronaut Beer. Not sure if that exists, but it should. In this April Fools insprised episode, the Mighty Maidens of Mouse discuss Blue Zoo, The Fountain, who they believe should win the RCS, and what it's like to be married to such super hunks. When the Fantasy Land expansion was revealed in 2009, the addition of Gaston's Tavern was announced along with the much anticipated Be Our Guest Restaurant. There is now a good deal of speculation surrounding the tavern and what it will serve when it opens in 2012. Here are the three options as I see it. Obviously, it could wind up being a combination of any of the below. A. The tavern is simply another quick service eatery with a limited food menu and soft drinks. Pass. Frankly, I can't seem Disney announcing something like this three years before opening unless it was going to have something a little bit more substantial, but stranger things have happened. B. Disney creates a unique "soft" drink that would rival "butterbeer" served at the Wizarding World of Harry Potter in Universal. What this would wind up being is anyones' guess, but the point would be that Gaston's Tavern is the only place in the World (big W) where you could find "it," making the tavern a destination and a talking point for Magic Kingdom guests. C. Here's the big one. There is a school of thought that the addition of Gaston's Tavern and the Be Our Guest Restaurant will mark the first time that alcohol will be served in the Magic Kingdom. 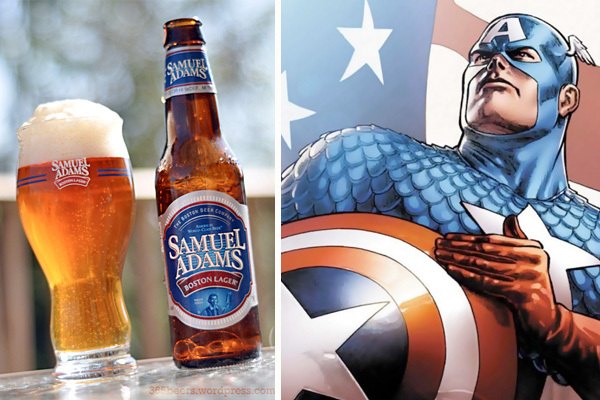 Be it a single beer on tap, or a full service bar, this would be a big change and counter to the philosophy of Walt Disney when he built both Disney Land and Magic Kingdom. I consider myself a Disney purist so any changes in direct contradiction to Walt's vision are met with a healthy degree of skepticism on my part, and my initial reaction was to think "no way does this actually happen." Whenever I hear people complain about the lack of alcohol in MK, I suggest they take a five minute monorail ride to one of the resorts. I don't say it to be flip, but I genuinely feel that the solution is so easily remedied that there is no reason to go against the wishes of the man who invented the place. That is really my only point for not serving alcohol: nostalgia. Believe me, if you peruse enough WDW discussion boards, you see arguments about: not exposing "my" children to drunks, getting puked on when they ride Space Mountain, or not wanting to see people swimming naked in the moat outside Cinderella's Castle. OK, the last one is made up. My point is, I don't buy most of the other reasons/excuses to avoid serving in the MK. That said, times are much different now. 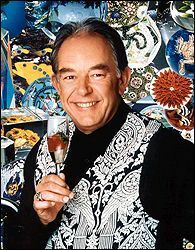 Maybe Walt would have long since given up his position (I don't think so but you never know). Or maybe this is just another example of revenue for DIS getting in the way of the tradition of WDW. You may have noticed that we love baseball here at MMOM. 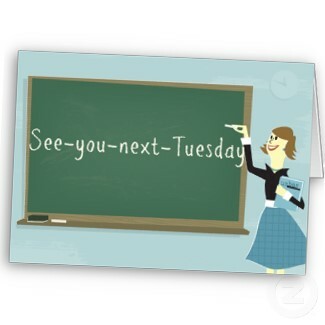 So, whether you celebrated last Wednesday , this Wednesday, Thursday, or Friday,* have a happy Opening Day! In honor of this national holiday, here's a little instruction from one my favorite Disney characters. *Last Wednesday, 3/28 was the first regular season MLB game of 2012 (a Mariners-A's game played in Japan). Official "Opening Day" is this Wednesday, 4/4 (Cardinals-Marlins). The other 26 Major League teams open their seasons on either this Thursday or Friday. 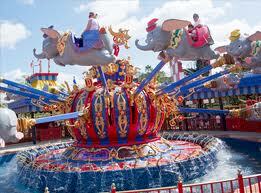 The first phase of the Fantasy Land Expansion opened in mid-March with the addition of Storybook Circus. The main attractions added thus far are one of the two Dumbo the Flying Elephant midway rides, a rethemed Barnstormer roller coaster and a new Fantasy Land train station. 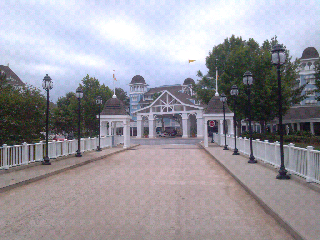 Most of this is either a refurb or outright replacement of Mickey's Toontown Fair. A good rundown on the new attractions can be found here. One thing that sticks out are the attention to detail on the new area (including Dumbo). It is a welcome change from Toontown which always had the look and feel of a temporary attraction that was long past its useful life. Although it is just the start, and most of the attractions and appeal to date is for the younger members of your traveling party, reviews on the expansion have been positive. Finally, WDW Magic has posted a photo showing progress on the Mine Train coaster which stands to be one of the expansion highlights.